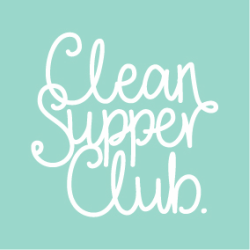 Our Clean Supper Club LOVE Smoothie is made from ingredients that will boost your Valentine’s health (nudge nudge wink wink!). Place 2 tbsp of chia seeds into a 250g jam jar fill with water, seal & soak in the fridge overnight. This will make plenty for use in smoothies or chia puddings. This recipe requires 2 Tbsp. of the soaked chia seeds. Put all the ingredients into your high-powered blender. Then blitz until everything is very smooth, it may take slightly longer to break up the pomegranate seeds.